Kuala Lumpur (VNA) – Vietnamese swimmer Nguyen Thi Anh Vien on August 24 won a gold medal in the women’s 200m individual medley at the 29th Southeast Asian Games (SEA Games 29) in Kuala Lumpur, Malaysia. Vien finished first with a time of 2:14.25. She was followed by Ginn Yeo from Singapore, clocking 2:16.85 and Kania Dewi of Indonesia with a time of 2:17.46. This is the fourth gold medal bagged by the Vietnamese swimmer at SEA Games 29. 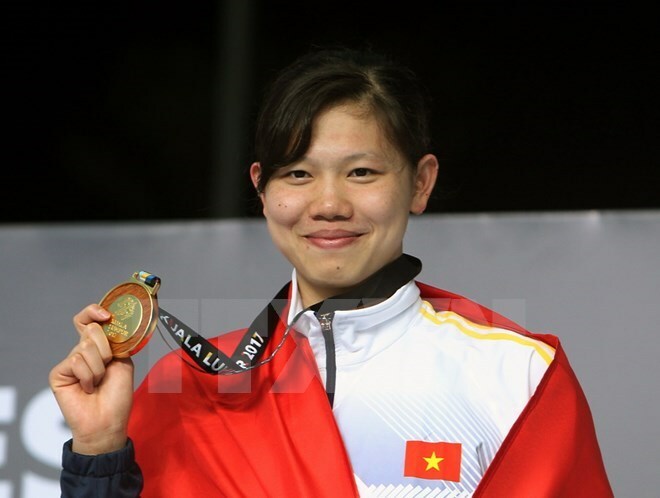 Vien had previously secured three gold medals in the women’s 100m and 200m backstroke and 400 freestyle categories.